It can be extremely difficult to give up certain foods you’re used to eating and depending on. I have personally eaten eggs almost every day for the past “I don’t know how many” years. I love eating them in the morning because they are easy to fix, don’t require defrosting or planning ahead, can hold me over all morning and are relatively inexpensive for a meal. Then there is the whole “what the heck would I eat if I didn’t eat eggs” dilemma. All of these reasons have kept me eating eggs, until up to about three weeks ago. My belly had had enough. I distinctly heard it say to me one day, “No More EGGS!” Yikes! What was I going to do? Sigh. Many people email me asking me for breakfast ideas, especially egg-free ones. I have promised them a menu planner…soon. 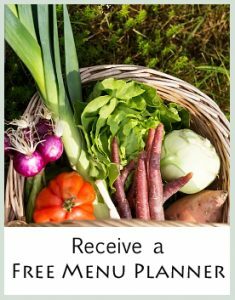 I do have the Egg-Free GAPS Menu Planner available that has one breakfast idea for each week. However, I have yet to deliver a complete list of recipes and/or menu planner for breakfast ideas that are free of eggs. So, I don’t have a release date yet, but I am planning on compiling an e-book of egg-free breakfast ideas for people who feel just as lost as I do when I comes to facing breakfast in the morning on an egg-free diet. Hooray! This morning my husband looked at my breakfast inquisitively. He was obviously interested or maybe confused about what I was eating. I told him it was avocado, pear, almonds and coconut butter. He seemed a little impressed, but I don’t think he’s going egg-free anytime soon. How to make it: Gently mix all the ingredients together and enjoy. In the end, I had almost two helpings of this, but so far it has held me over and it’s just about lunch time as I write this. So, I have been compiling a list of breakfast ideas for the egg-free diet. I’m going to list it here and will link whenever possible. In the meantime, I will begin working on compiling the recipes in e-book form and hope to have it available soon. Release date to be announced! If you have more ideas, please feel free to list them in the comments or email me. Cinnamon Walnut Cookies – post coming soon! Bacon – if you have a brand that is free of sugar, nitrates and preservatives, please share! Besides all of these ideas for grain-free and egg-free breakfast ideas, I rely on having soup for breakfast quite often. This is how I have been getting my daily cup of broth by cooking a chopped zucchini, some onion and a cup or so of broth in a pan. I blend everything up once it’s cooked and it feels so nourishing in my belly. I also eat leftovers from dinner quite often when I’m in a hurry. Sometimes I mix it with some yogurt, depending on what it is. Well, I guess you can say this is simply an opportunity to be creative in the morning when you jump out of bed! 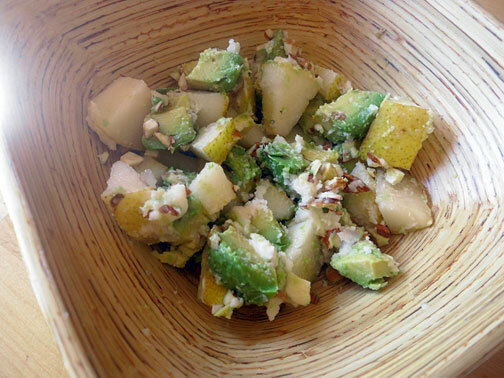 I hope these ideas help you if you’re egg-free and need some breakfast ideas for the morning. And, I’d love to hear from you! Any more egg-free breakfast ideas you can think of? Would love to hear about them. Thanks! I am so glad to have found your blog this week! One month ago I began the GAPS intro diet and have been thrilled by all the options and enthusiasm you bring to creatively exploring this protocol. For as long as it’s helping me heal I look forward to using the diet and your site for inspiration and motivation – you’re doing great work. You know, I keep it real simple in the morning because I’m usually half asleep. Often a banana with almond butter and a cup of oatmeal or slice of gluten free toast works for me. I am spinning my wheels trying to find a gluten, egg, milk and bread free breakfast dish for my husband who has food allergy problems. Please e-mail me any ideas when you get a free moment or links to other websites you have found helpful. I have been wanting to go egg free, but want to get ideas first. One question, what do you use as a binding ingredient in meatloaf, meatballs, pot pie dough, etc. ? I saw a list of egg alternatives, but pureed fruit or baking powder/oil wouldn’t work for meats, would it? Flaxmeal can work in many places (this is finely ground flaxseeds). I make a flaxmeal paste with 1 tbsp flaxmeal with 3 Tbsp boiling water for each egg. I have used it in meatloaf, though you can taste it a little bit. I have actually had success using no eggs or egg replacer in meatloaf as well as meatballs. Flaxmeal does work for pot pie dough and pizza crust as well as other baked goods. Bananas are good but obviously flavor the recipe with banana. Cooked squash does a good job too. You basically have to try it to see if you like it and if it works for you. Good luck to you!